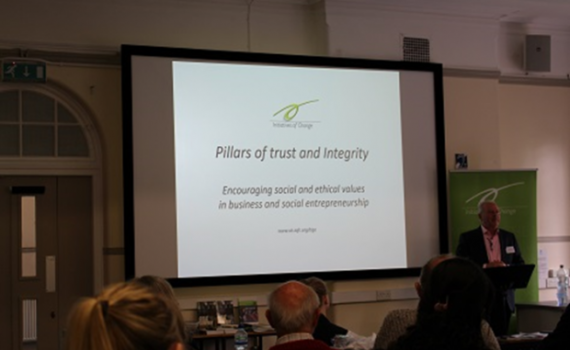 Manchester Metropolitan University’s Cheshire Campus, Crewe, hosts ‘inspirational’ TIGERoadshow, attended by social entrepreneurs, small business owners, students and academics. The TIGERoadshow, on the theme of Trust and Integrity in the Global Economy, aims to tap into a new global consciousness about the social role of business and entrepreneurship. The event, held on 20 May, provided this through experienced and inspiring guest presenters.